Dual USB output, Two-way quick charge, 14.2mm thin. Lithium polymer batteries, Nine layers of circuit chip protection. 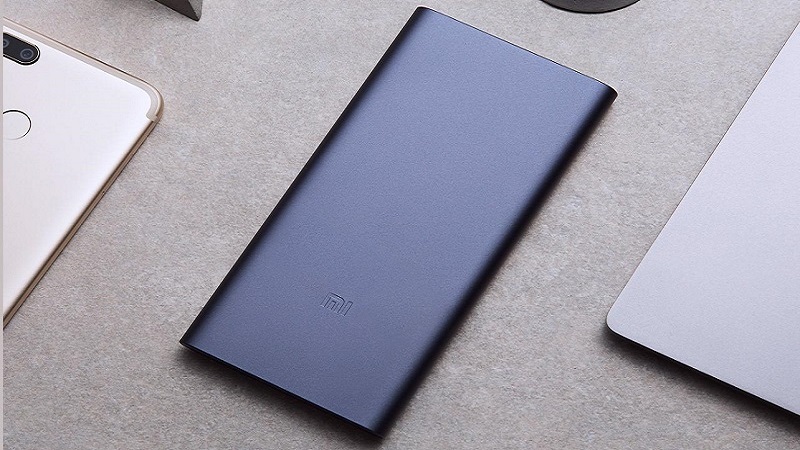 Xiaomi extends its commitment to manufacture the world s best power banks in India. 10000 mAh Mi Power Bank 2i delivers on innovative design, excellent quality and high output capacity. Optimized charging/discharging efficiency. Lithium polymer batteries are not only safer, they improve charging conversion rates and stabilise discharging voltage. With advanced resistance-capacitance sensors, 10000mAh Mi Power Bank 2i is more durable and optimises charging efficiency. 10000mAh, Dual USB output, Two-way quick charge. Charge two devices simultaneously. The all-new design now features Dual USB output without compromising on the size, extending your power to share with others in need. 14.2mm thin, weighs just 240g. 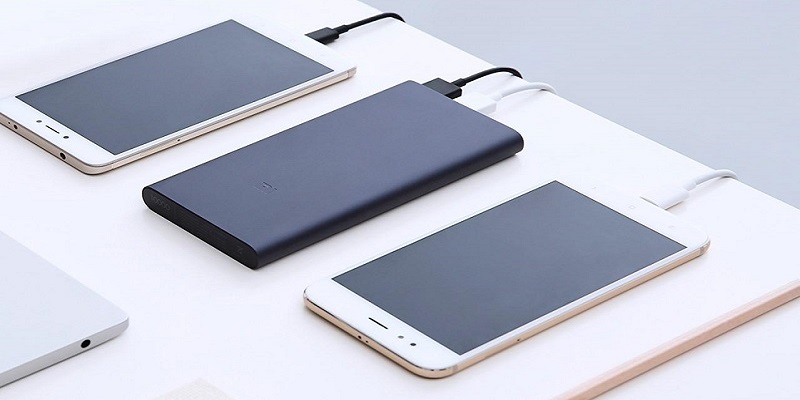 10000mAh Mi Power Bank 2i is ultra-slim & lightweight. Simply slip it in your pocket or bag and add it to your busy lifestyle! Anodized aluminum alloy case + 180°ergonomic arc design. The aluminium alloy case boasts of high structural strength that can withstand collisions and impacts. Alongside, 180° ergonomic arc design provides a more secure hand grip. The smooth anodized finish creates a surface resistant to sweat, corrosion and daily wear. 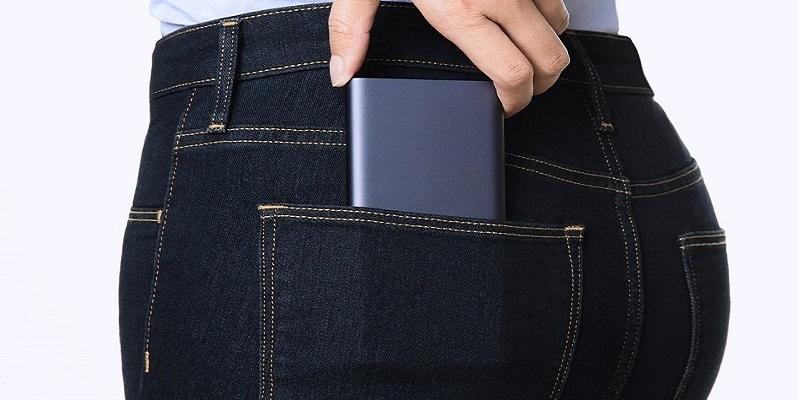 With adopted USB smart-control chips and charging/discharging chips built by Texas Instruments, Mi Power Bank 2i doesn t just provide nine layers of circuit chip protection, it also enhances charging efficiency. 1. Temperature Resistance: Heat-sensitive and temperature control mechanism ensures that Li-poly batteries operate within a safe range. 2. Protection from Short Circuit: Automatic protection to the motherboard and battery when short circuit occurs. 3. Reset Mechanism: Power button can be used to reset the power bank in an unstable environment. 4. Input Overvoltage Protection: OVP circuit prevents voltage surges from damaging the device. 5. Protection from Incorrect Insertion: Detects when the charger is inserted incorrectly and automatically stops charging. 6. Protection from Output Overcurrent: Monitors output current and shuts off when current exceeds the maximum limit to protect the device. 7. Output Overvoltage Protection: Monitors output voltage and shuts off when voltage exceeds the maximum limit to protect the device. 8. Protection from Overcharge and Over-discharge: Japanese technology is adopted to prevent overcharging and over-discharging thus preventing any damage of the Li-poly batteries. 9. PTC Protective Circuits for the Cell: Imported battery cells are equipped with PTC to effectively control current and provide protection when temperature and current exceed the maximum limit. current exceed the maximum limit.